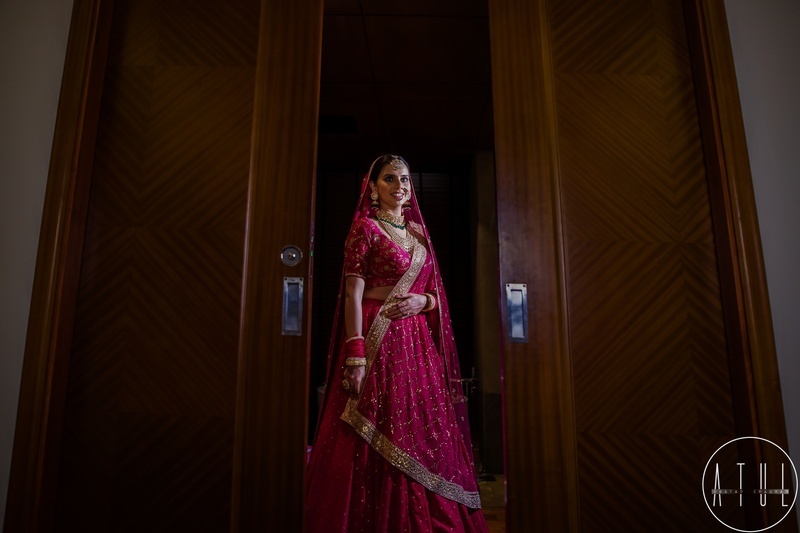 This minimalistic bride's surreal look is breaking all the wedding rules! 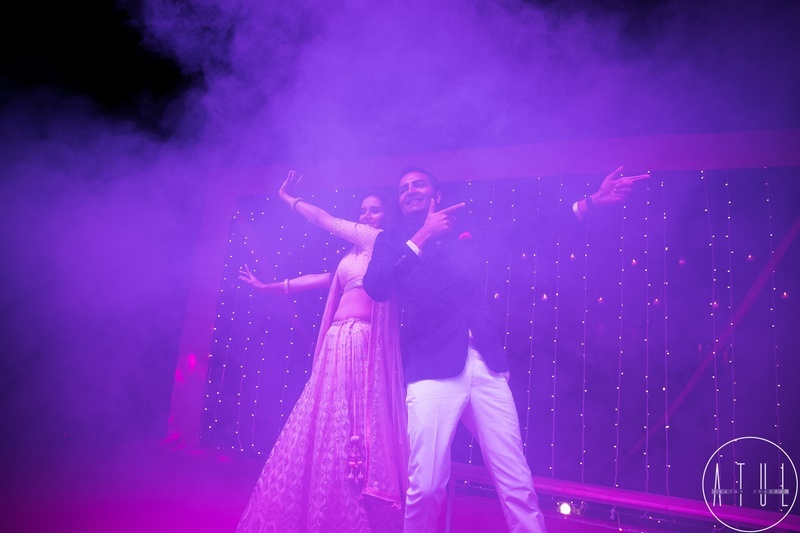 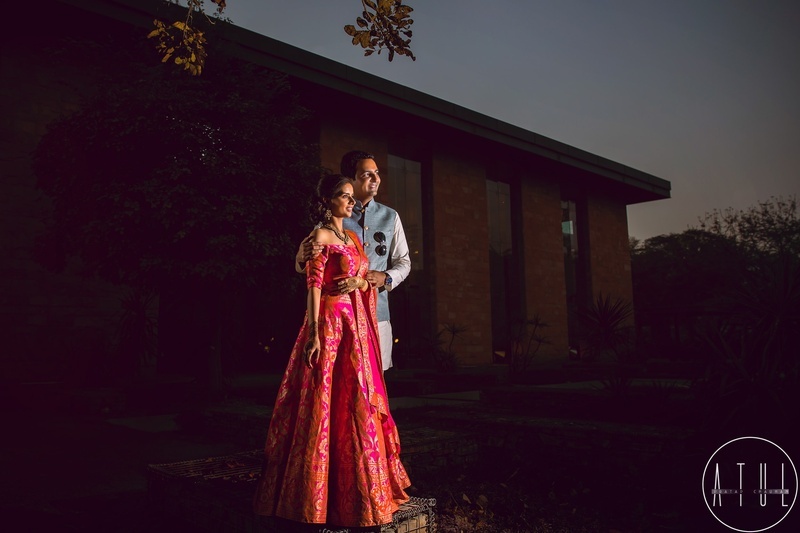 Riddhi and Ankit recently got hitched in a mesmerizing wedding affair at Taj gateway resort, gurugram. 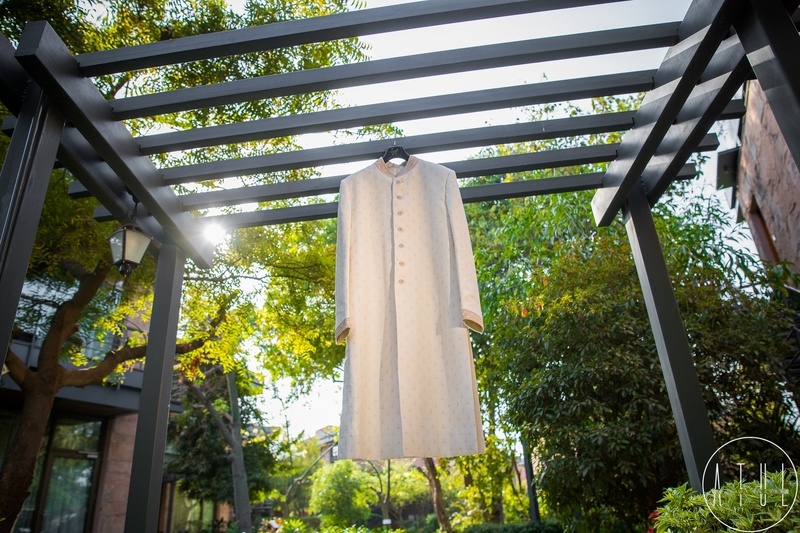 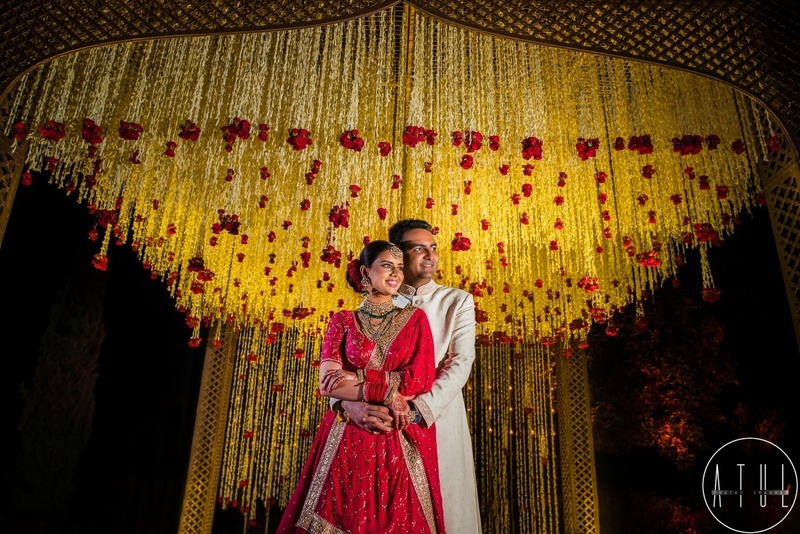 They wanted a cozy and personal wedding ceremony and Taj Gateway resort providing them with a wedding just like they dreamed! 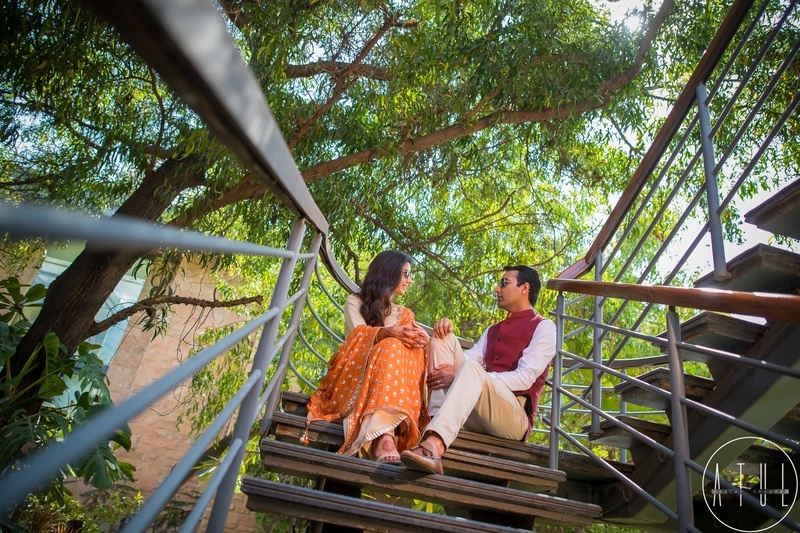 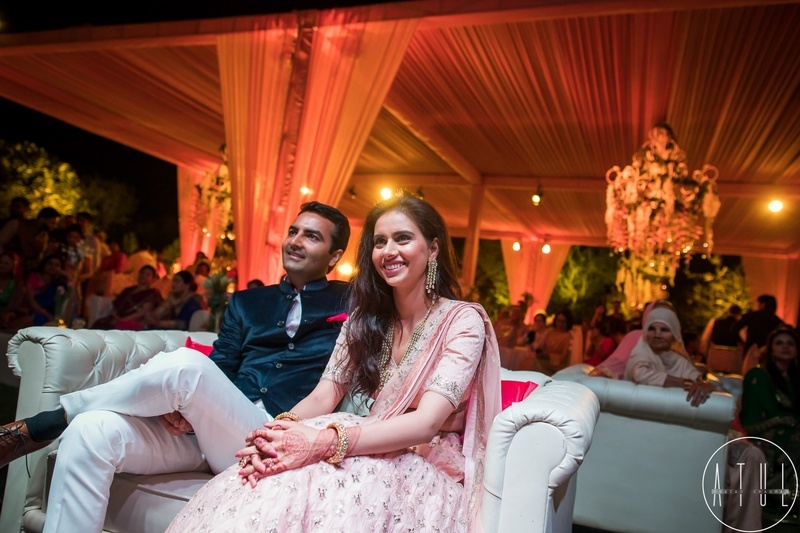 The elegant couple met each other at their undergraduate college and decided on each other since then! 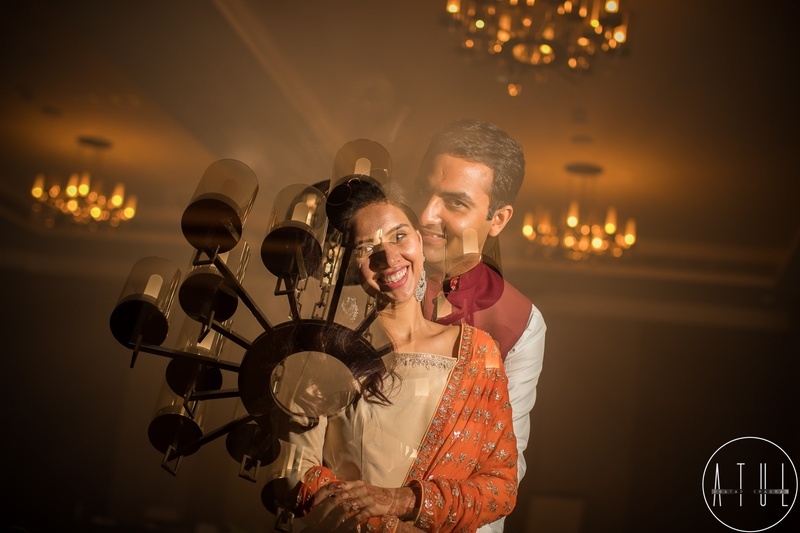 Talk about true love! 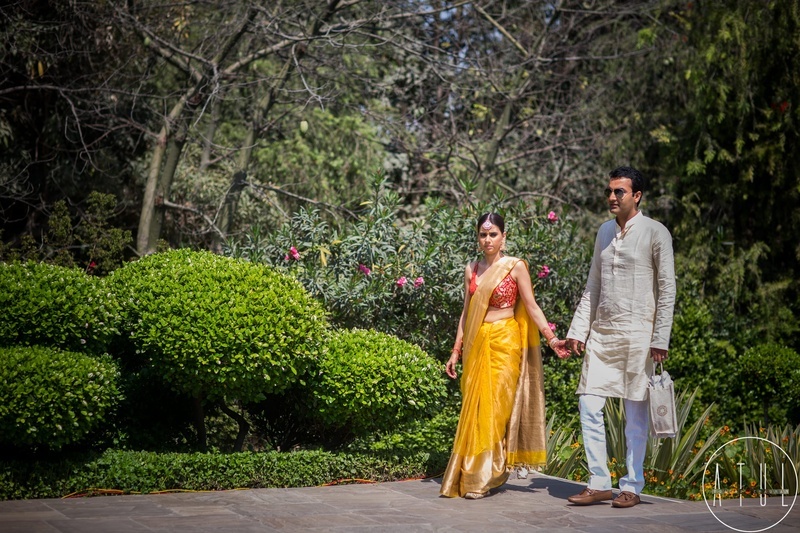 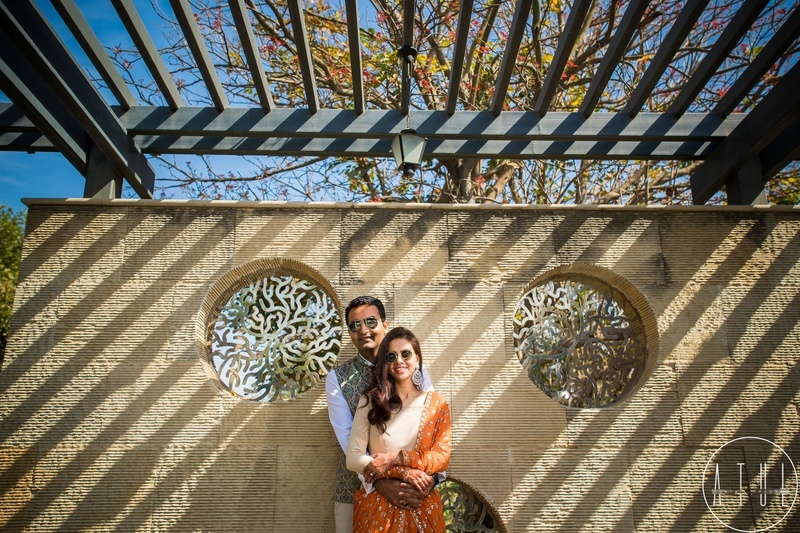 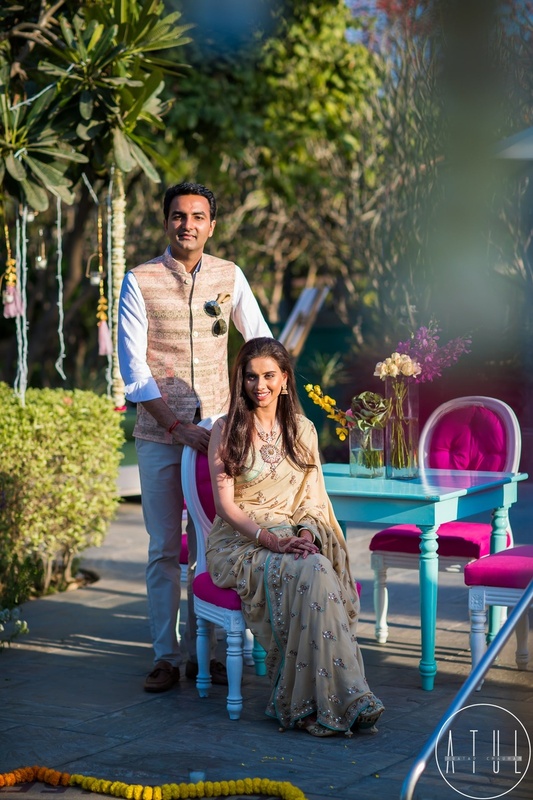 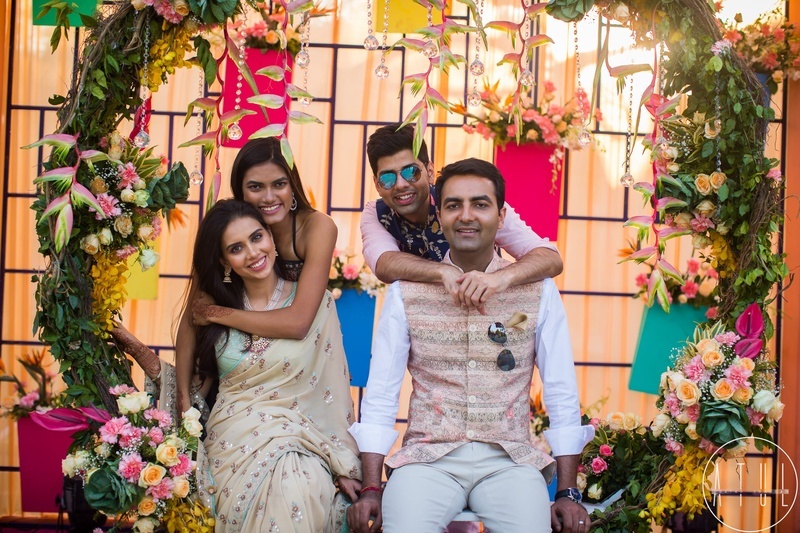 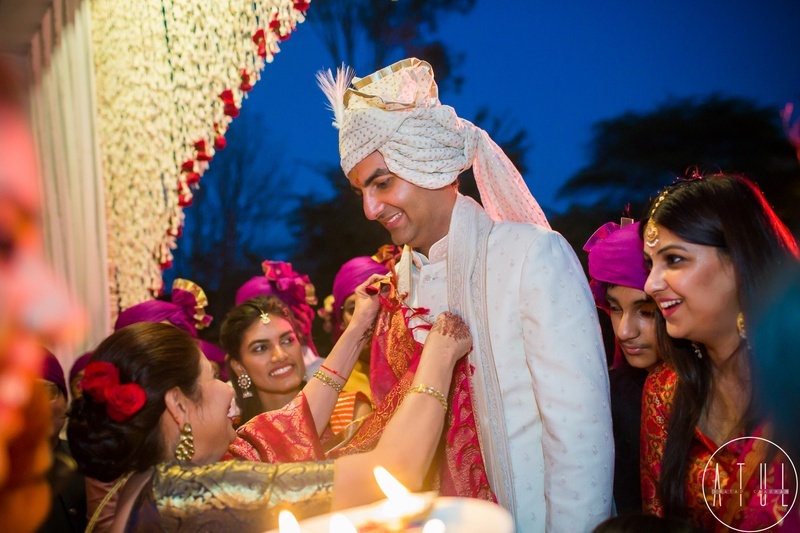 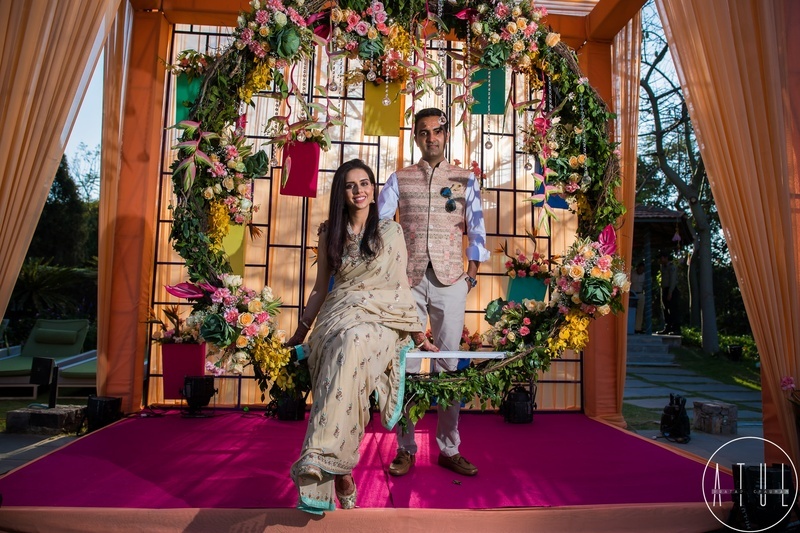 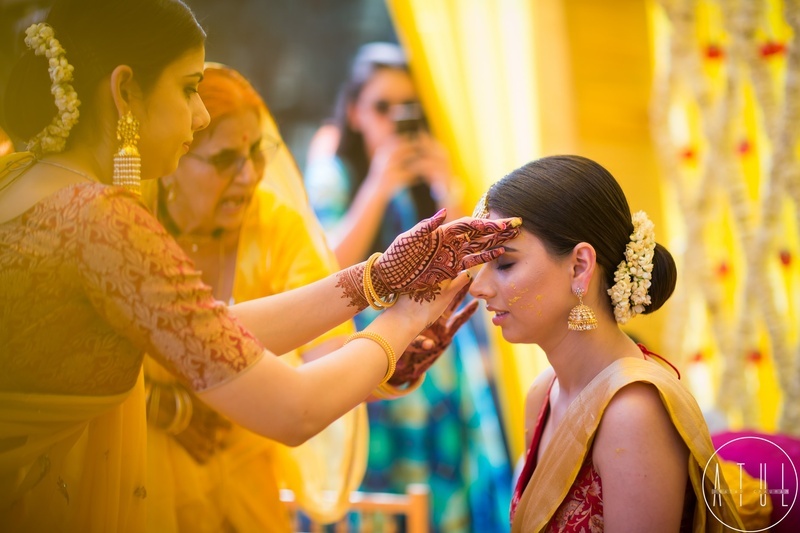 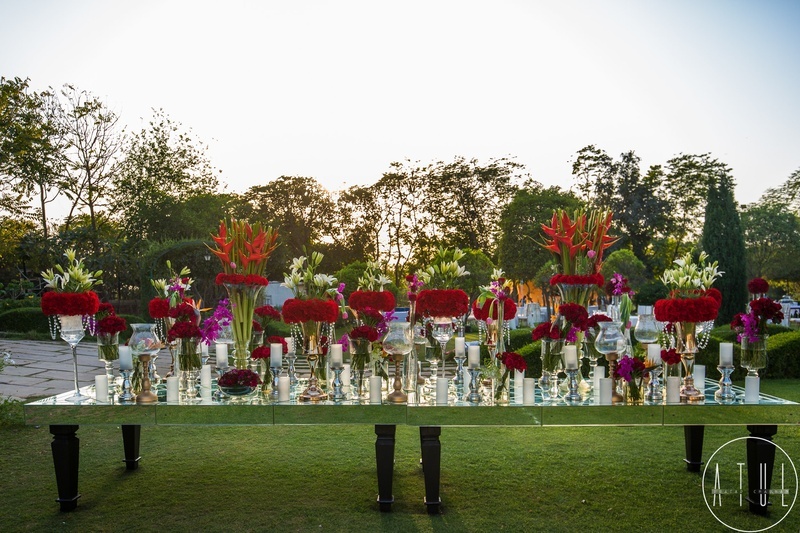 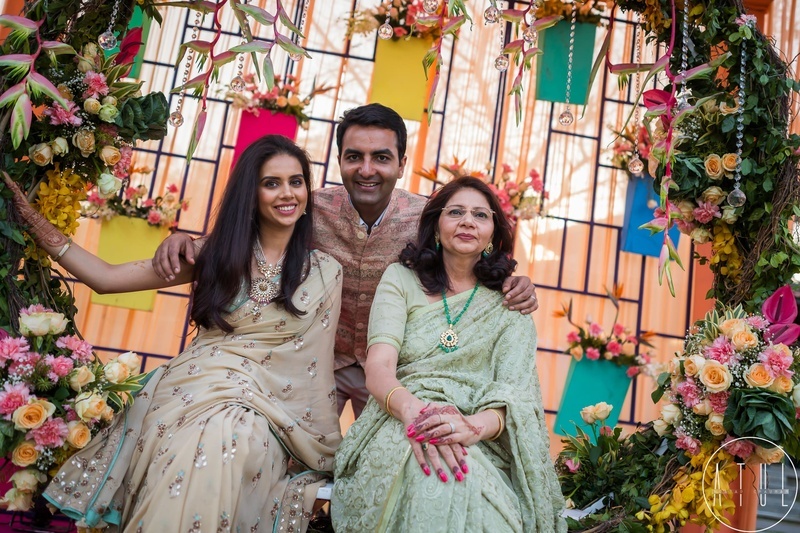 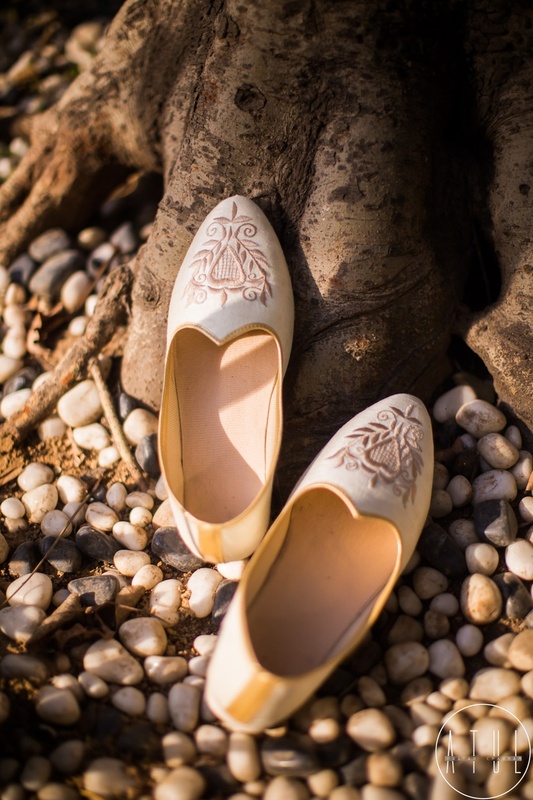 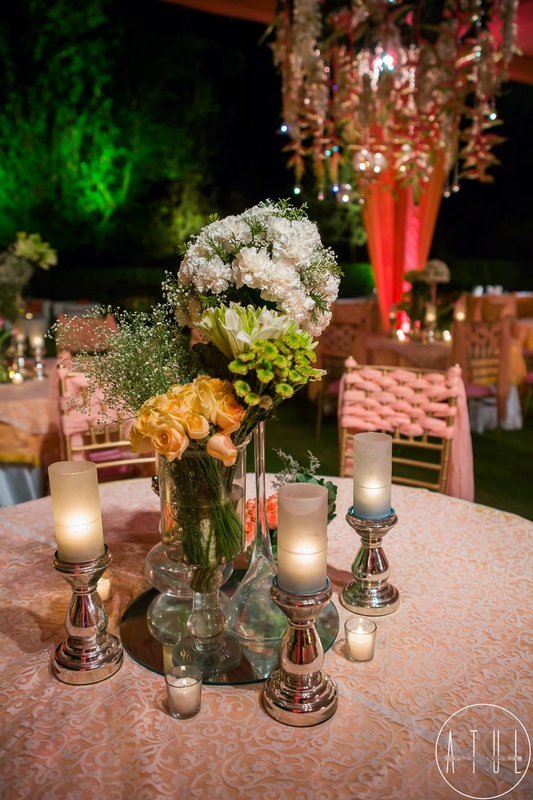 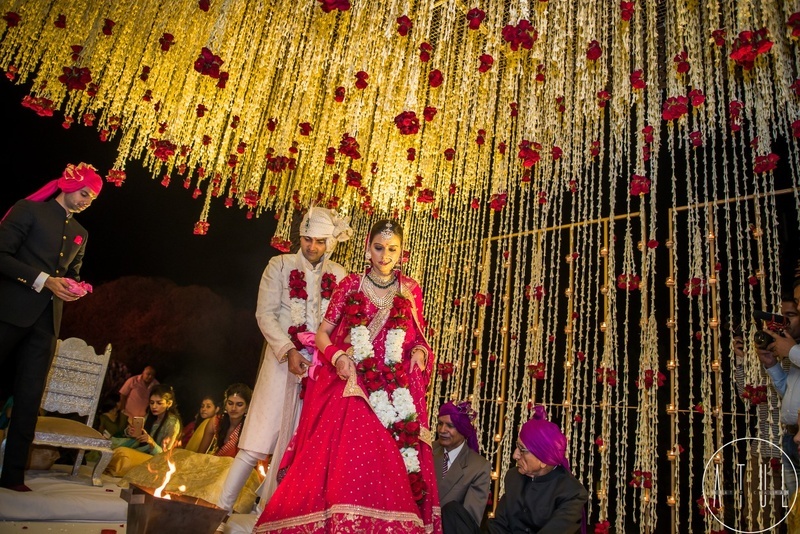 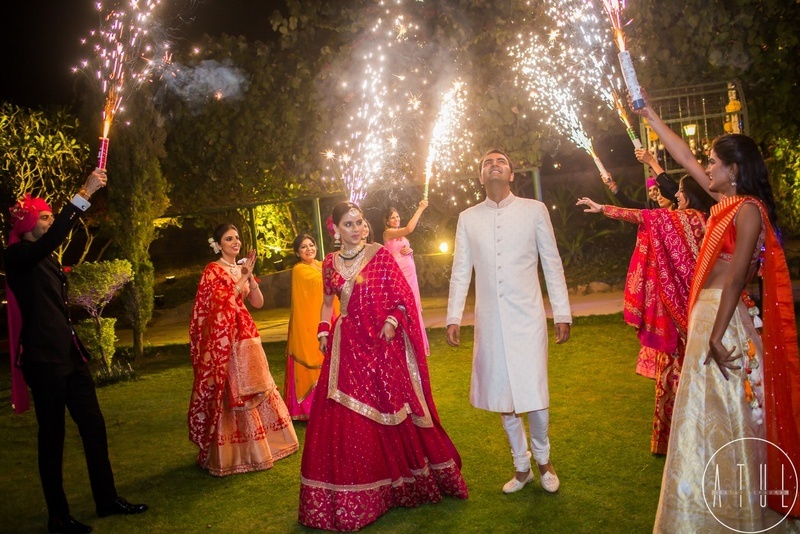 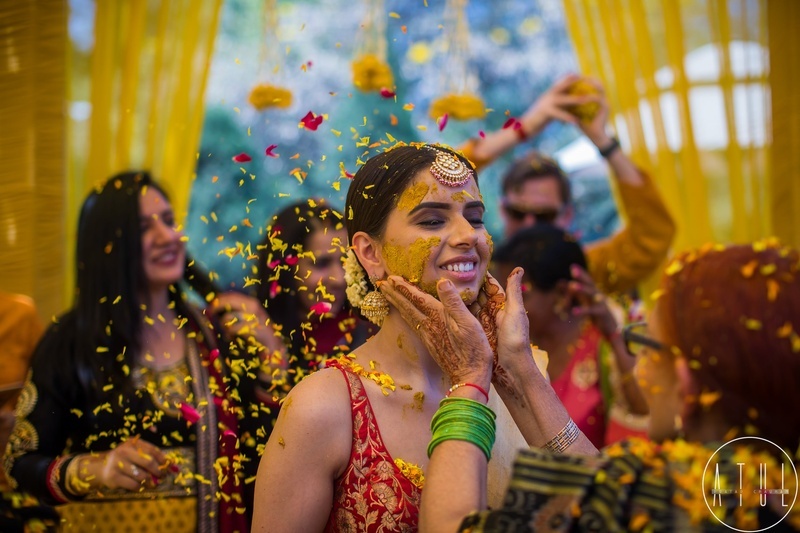 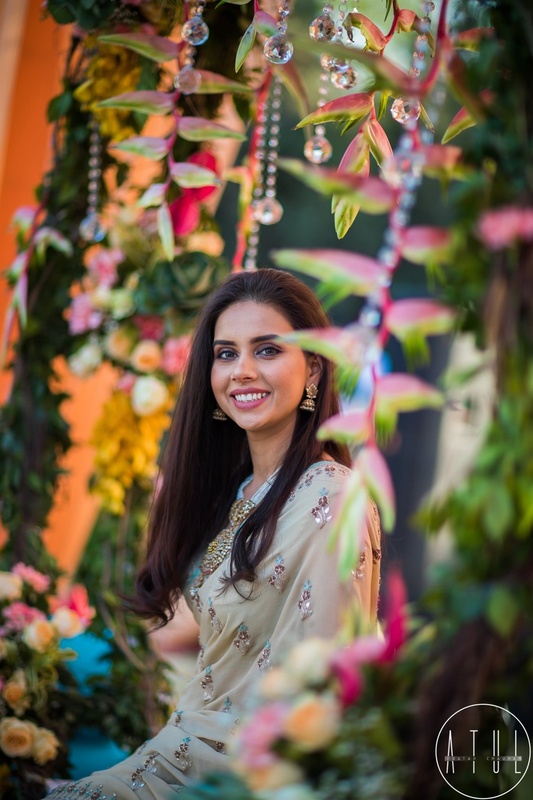 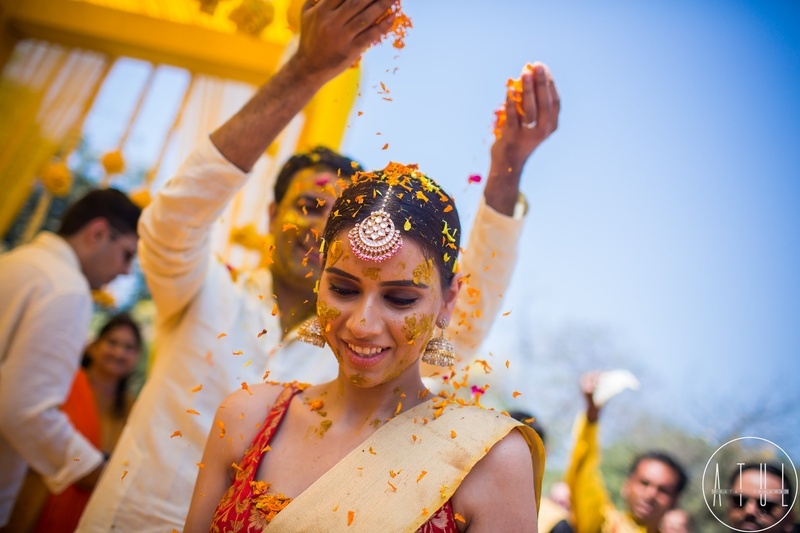 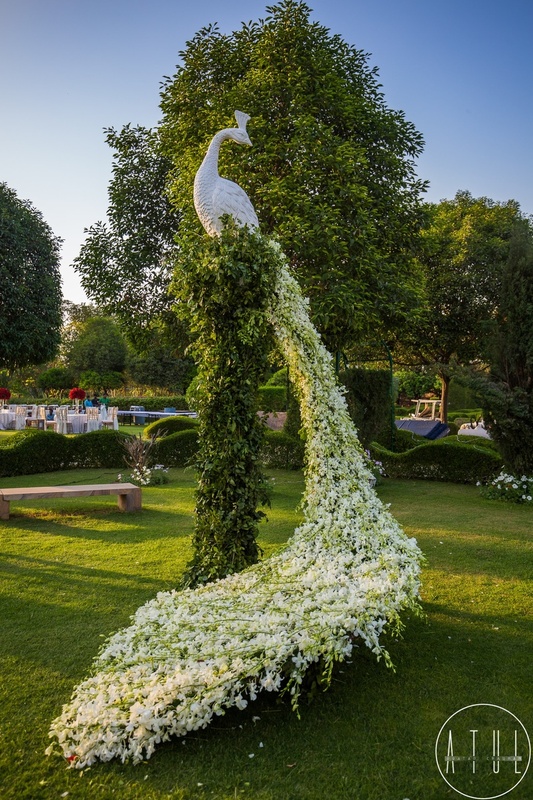 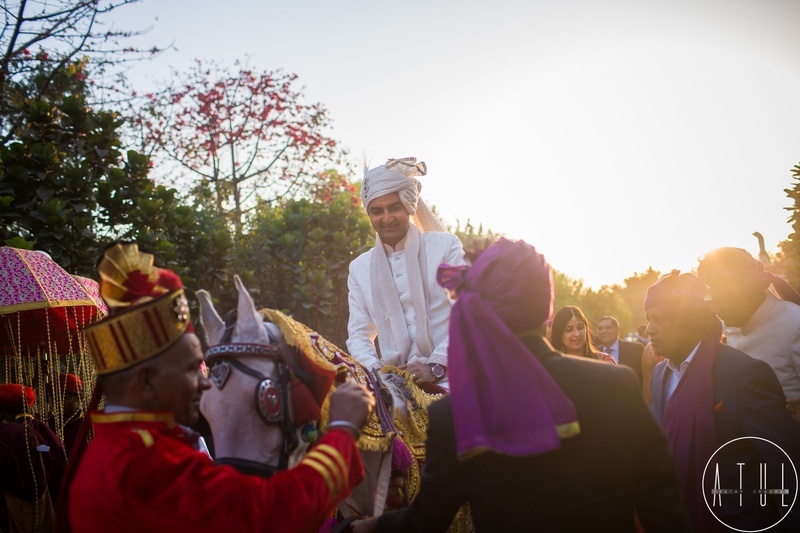 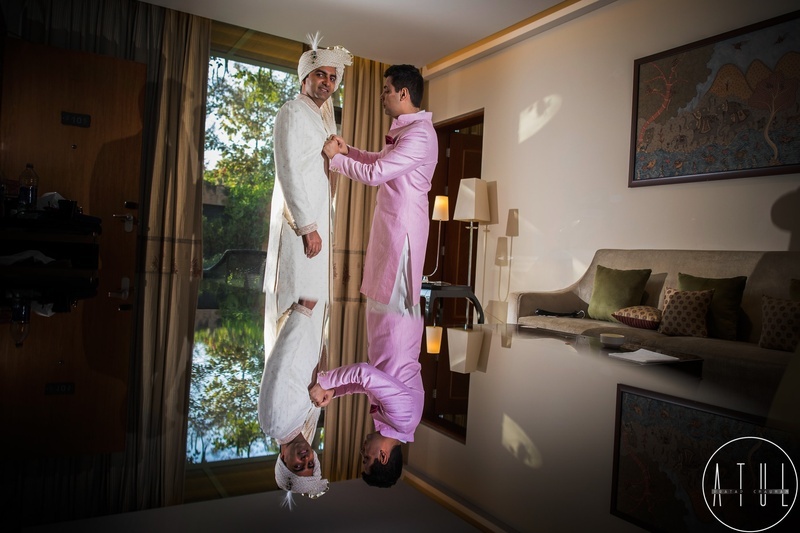 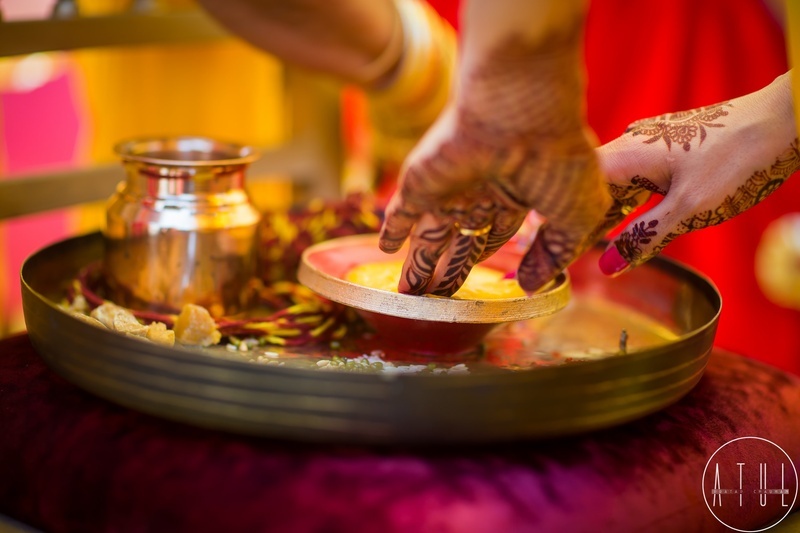 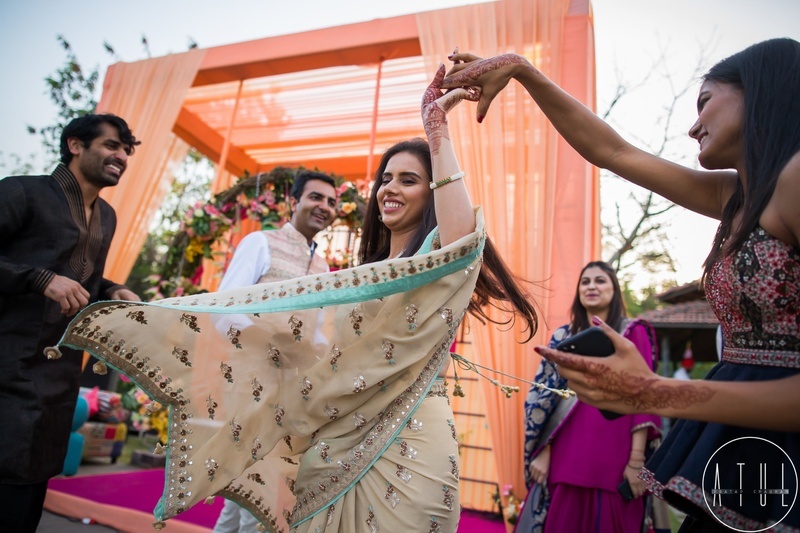 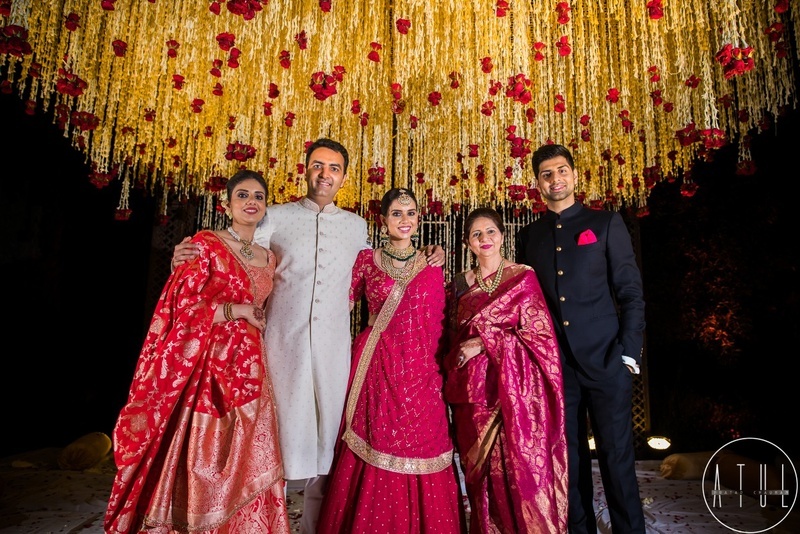 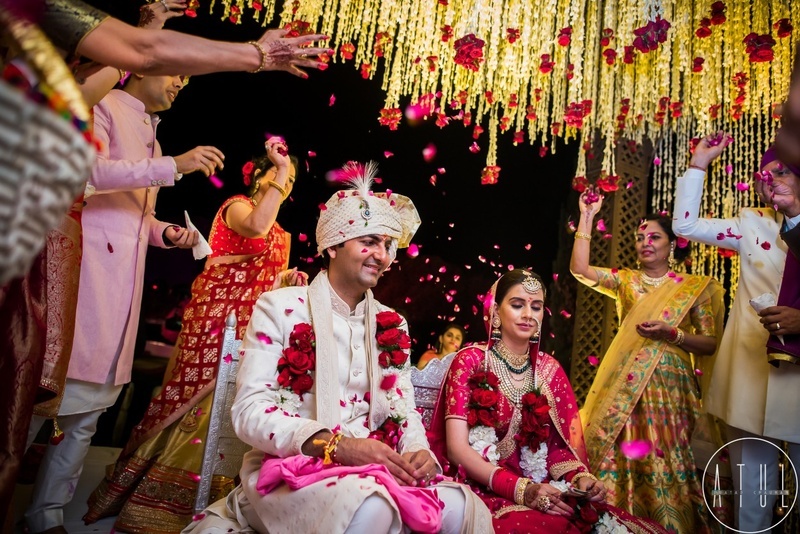 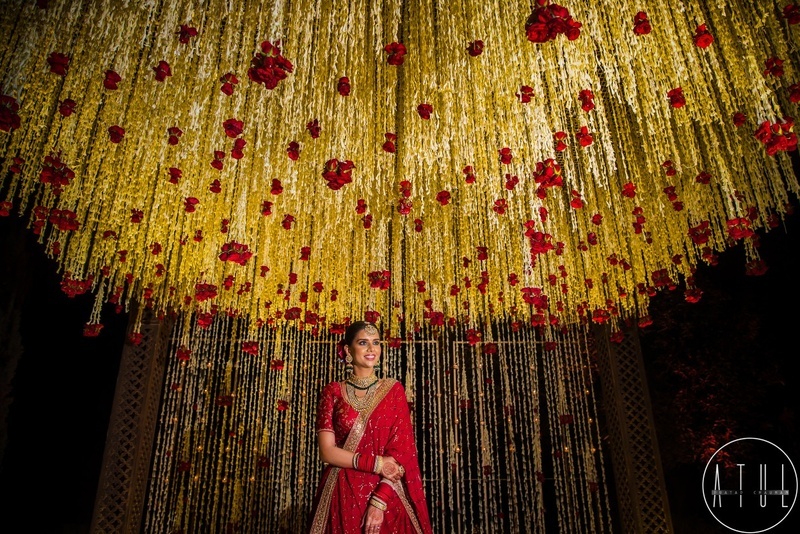 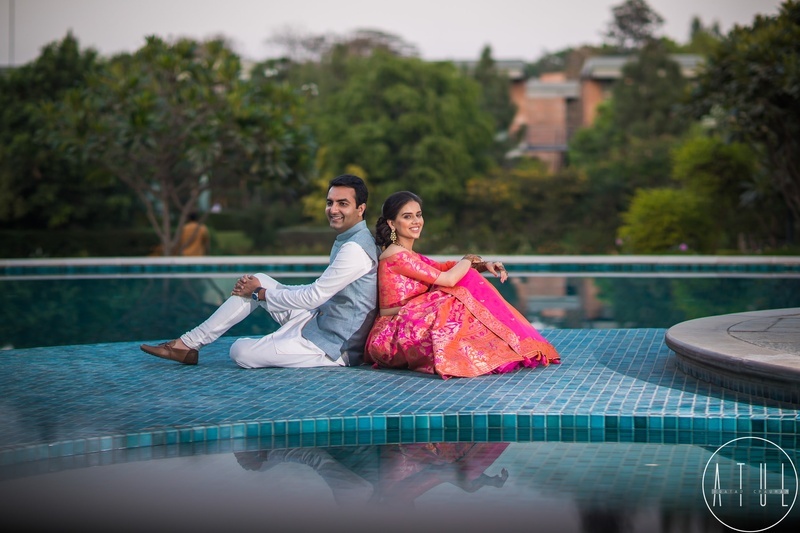 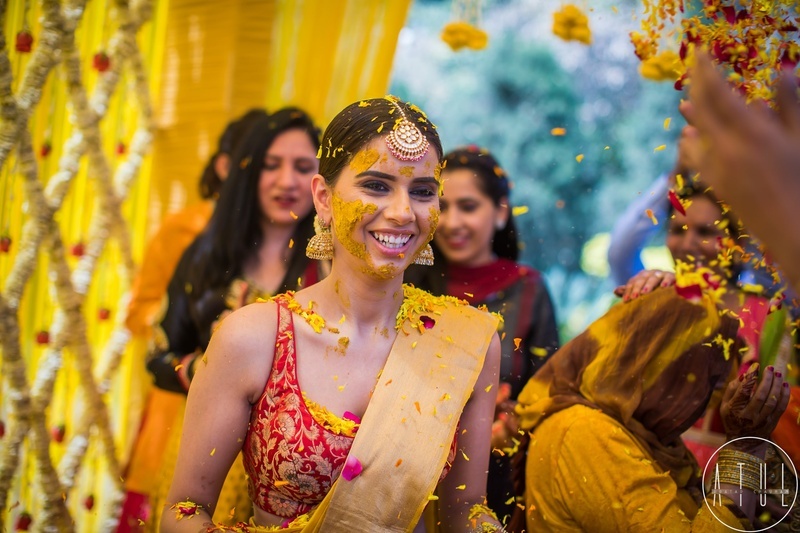 The couple chose the super team of Designer Events Inc. for the planning of this fairytale wedding and the breathtaking pictures were taken by their photographer Atul Pratap Chauhan! 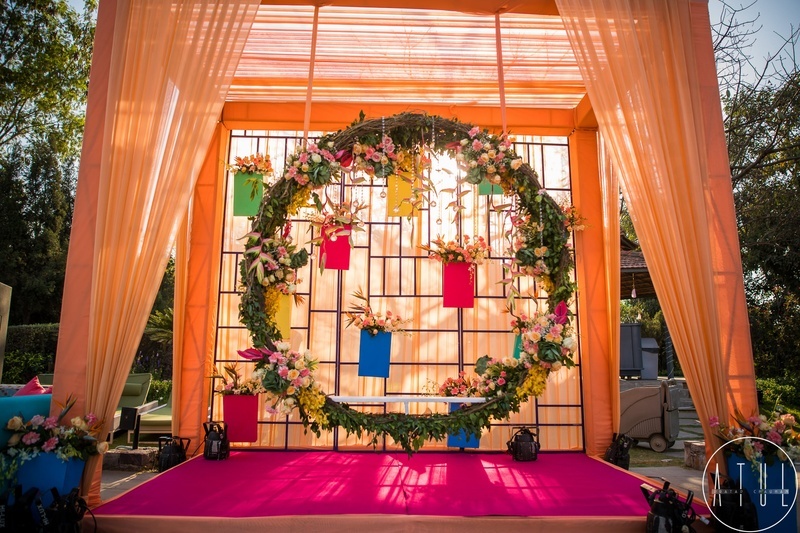 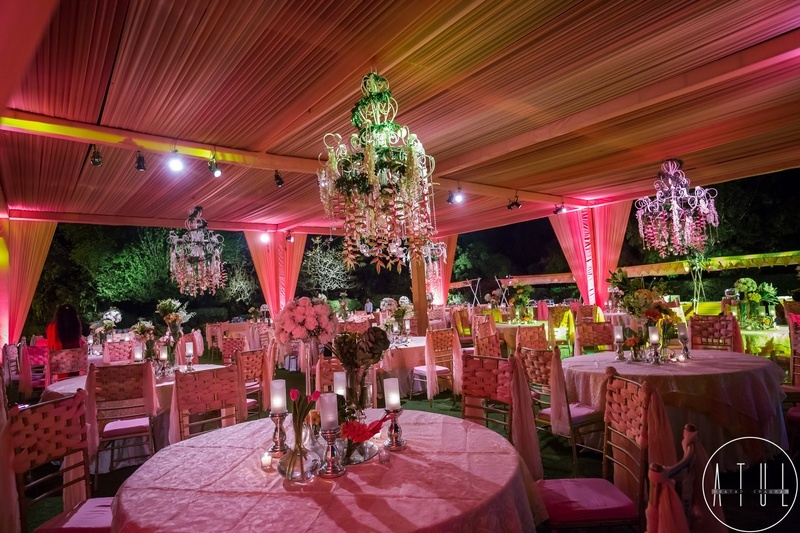 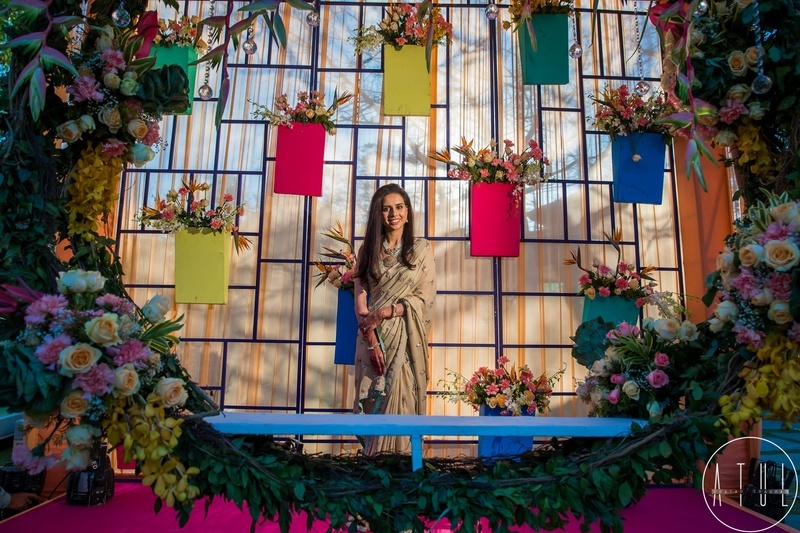 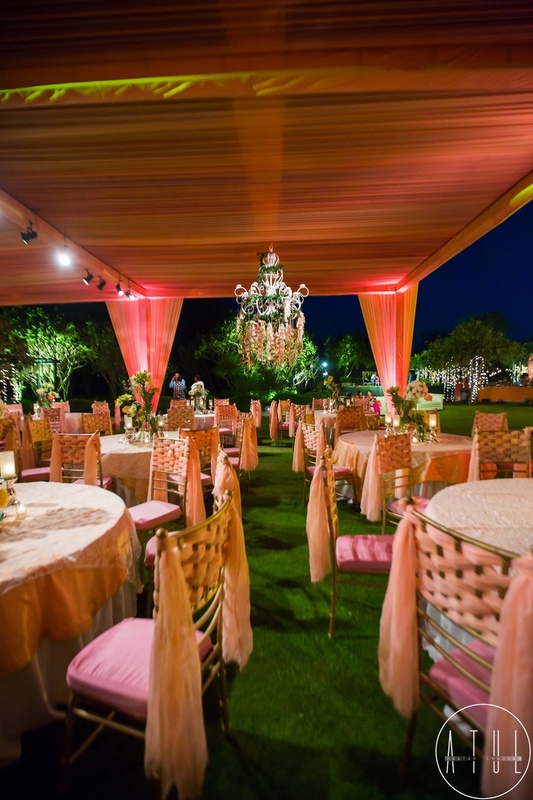 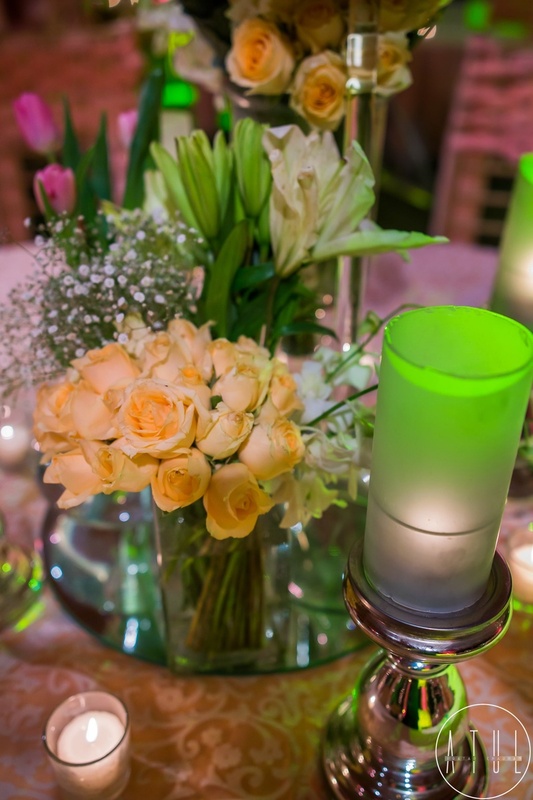 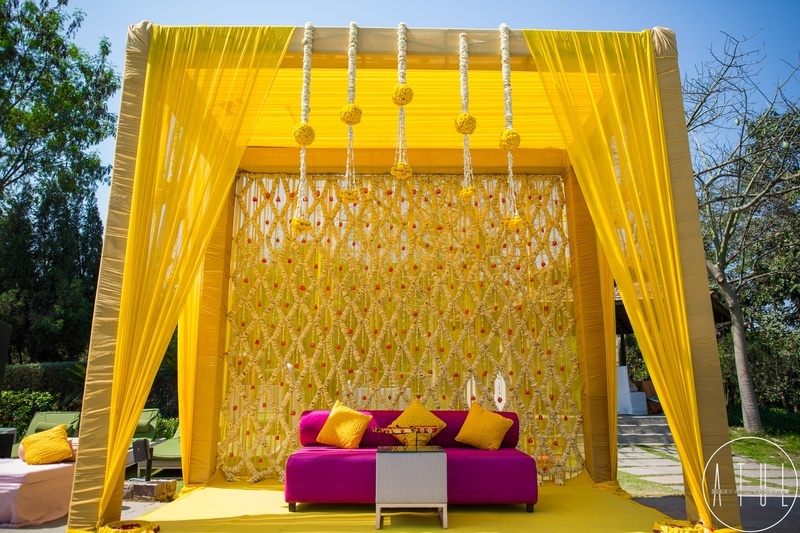 The wedding was a drop dead gorgeous affair with beautiful and totally exuberant wedding decoration by Elements Decor! 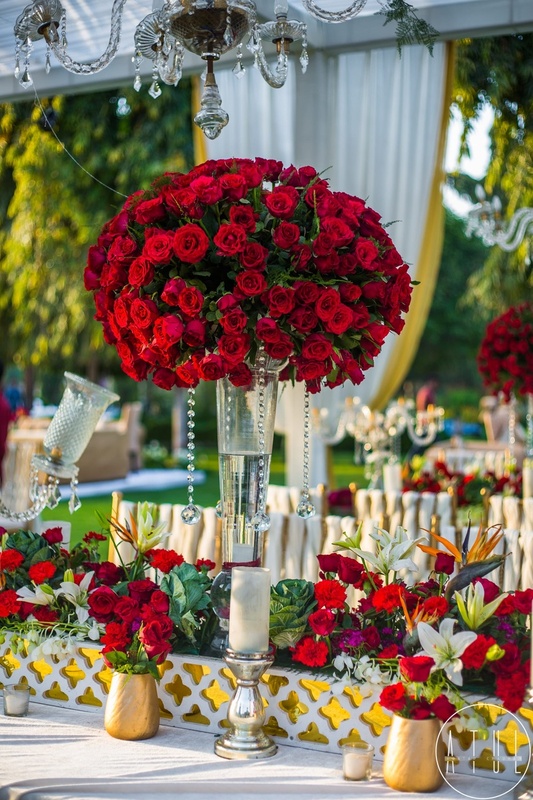 The couple always wanted an outdoor but intimate affair and kept only two things in mind while planning the wedding- the wedding shouldn’t be a very loud one and should be something very personal and close to their heart. 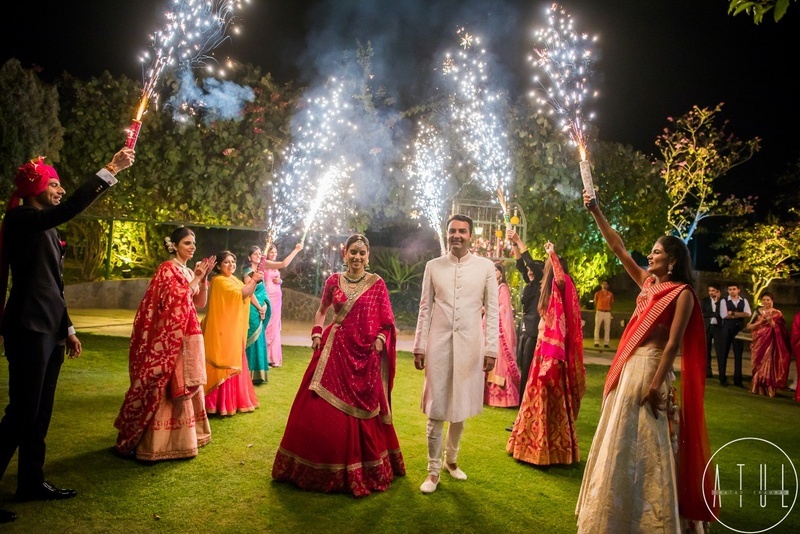 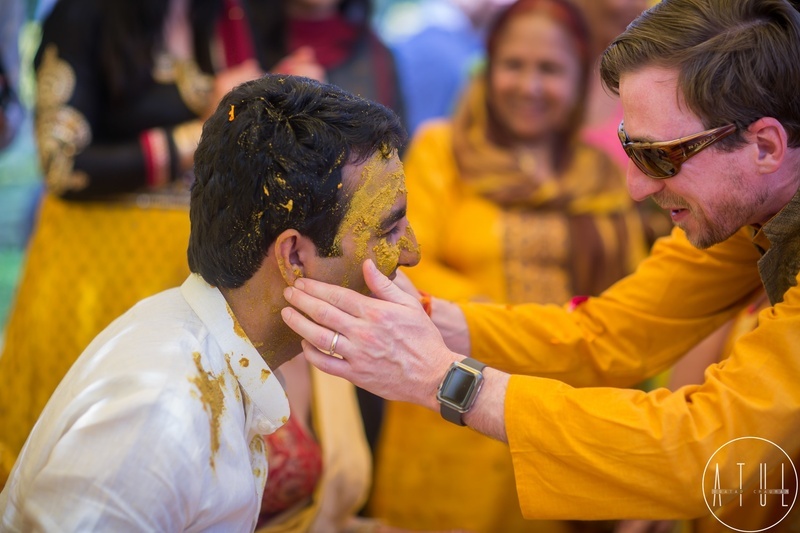 They personally selected all their wedding vendors with whom they felt connected on a personal level. 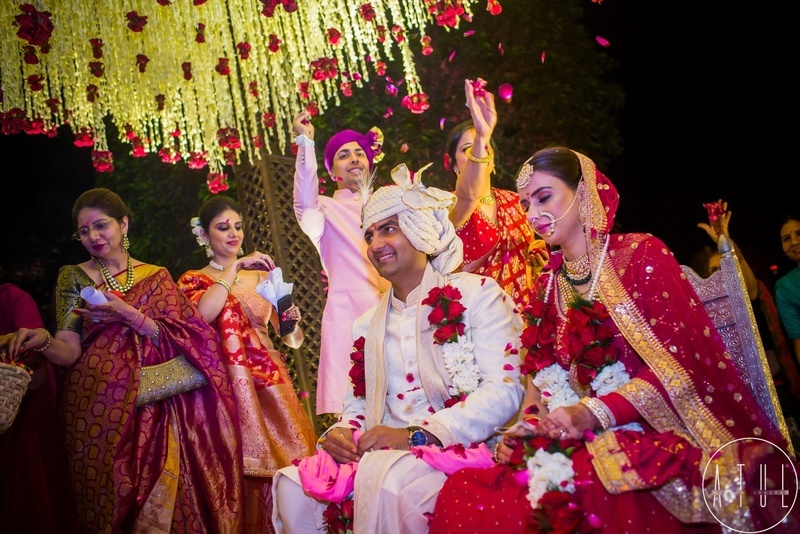 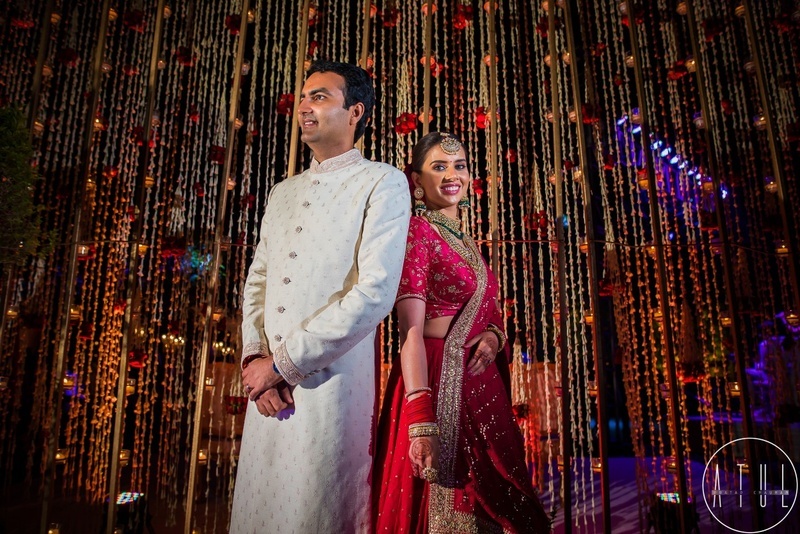 The bride and groom looked absolutely charismatic in a Sabyasachi ensemble. 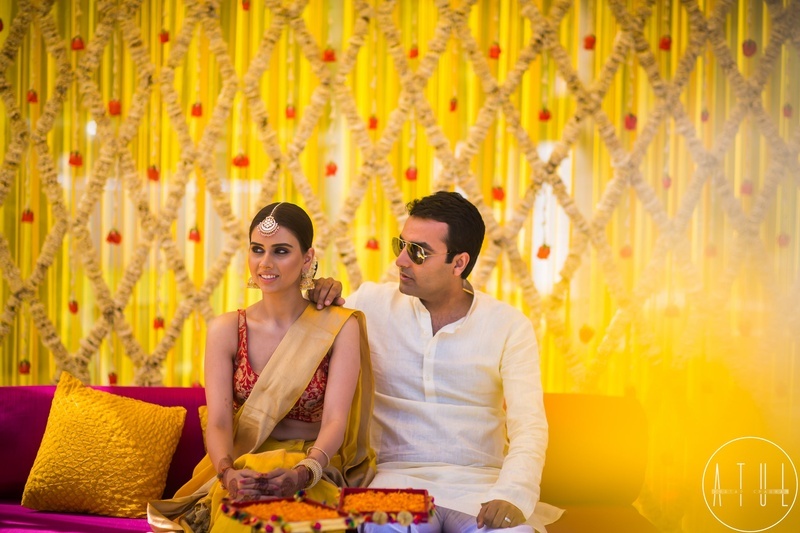 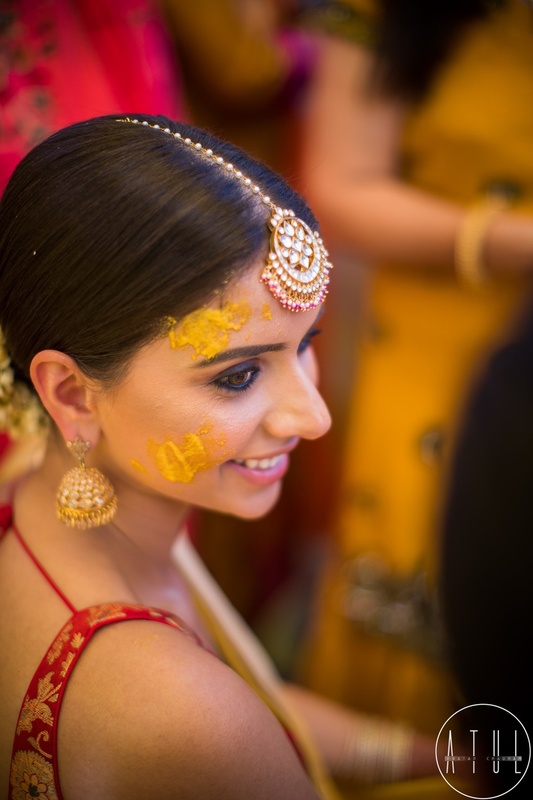 The bride chose a minimalistic look and reflected radiance in her makeup done by Saloni Gupta. 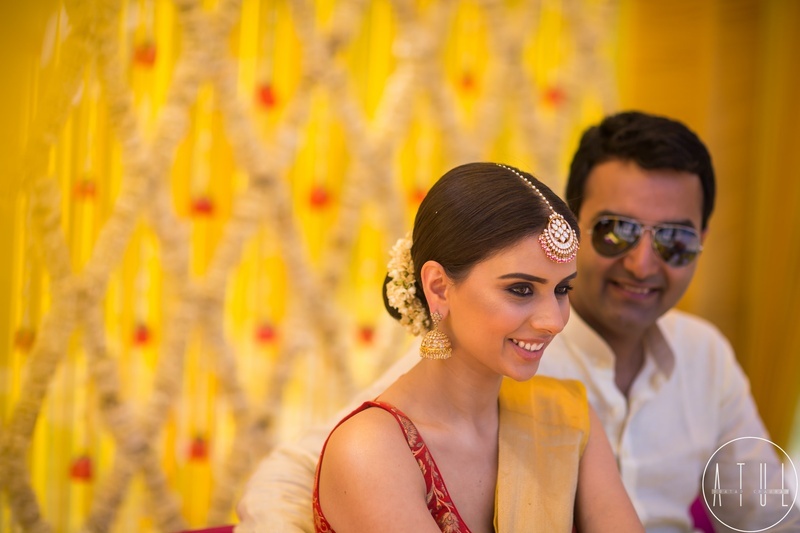 The royal jewellery was picked out from Alankritaa by Rashi Jewellery! 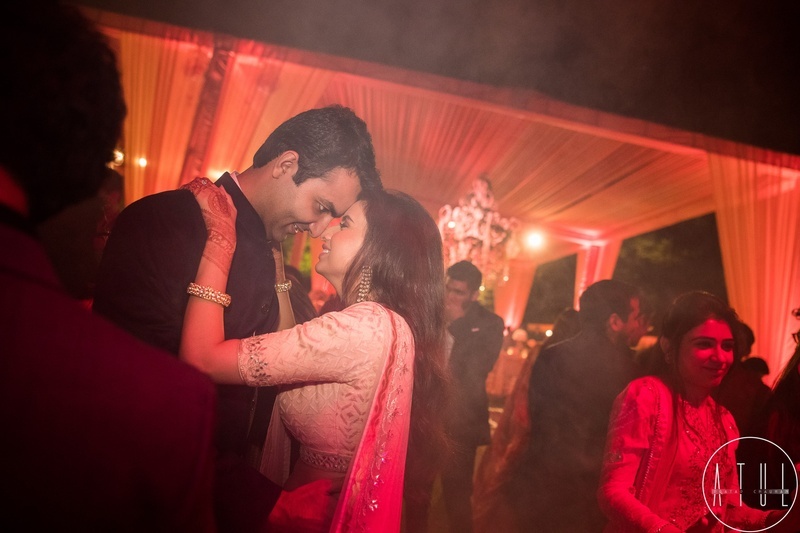 The candid expressions of the couple is what that stole our hearts away! 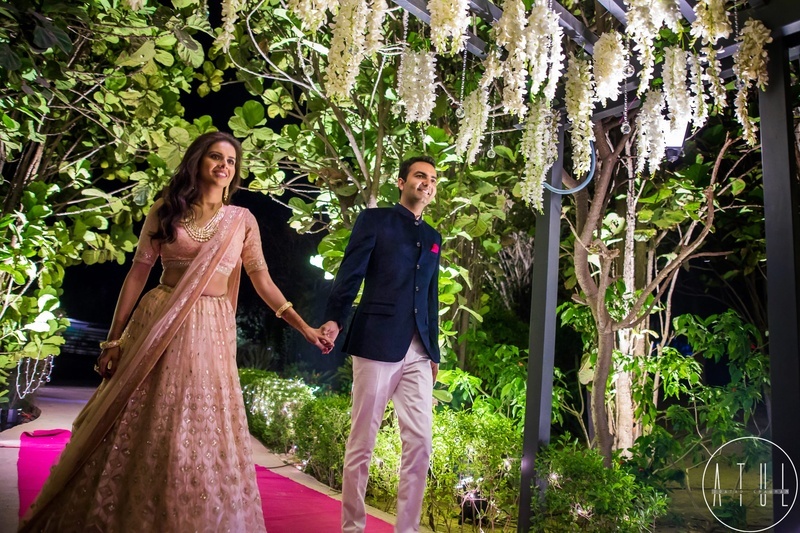 We wish this dreamy couple a lifetime of happiness ahead! 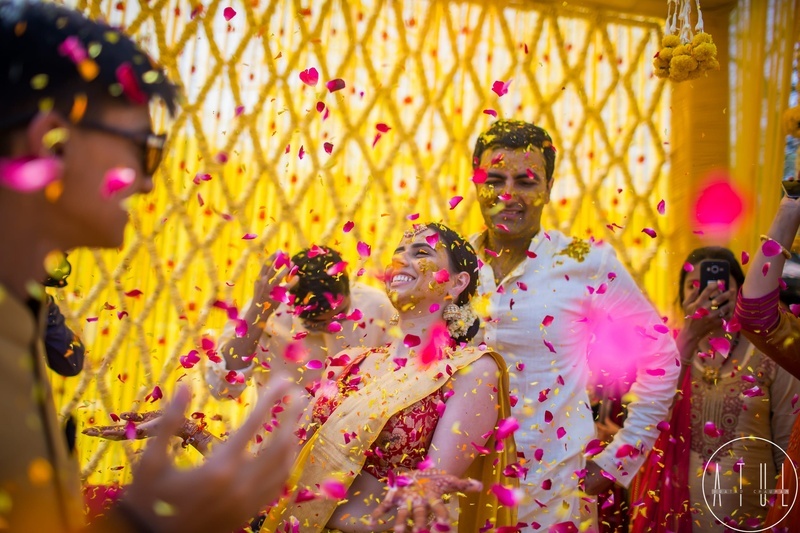 Bride and groom captured under the gorgeous yellow floral decor!